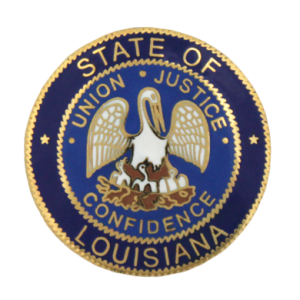 These lawyers were the subject of Louisiana Supreme Court disciplinary orders or Louisiana Attorney Disciplinary Board recommendations that were made public during the month of July 2018. Trisha A. Ward. The court reinstated the respondent, subject to a probationary period of five years. The respondent previously pleaded guilty to misdemeanor charges of stalking and violating a protective order. The court conditioned the respondent’s reinstatement on continued medical treatment and the appointment of a practice monitor to supervise her client trust account. Linda Louise Stadler. The board recommended that the court suspend the respondent for six-months, fully deferred and subject to a two-year probationary period. The respondent had, on at least two occasions, pleaded guilty to DWI charges. Bradley O. Hicks. The board recommended that the court suspend the respondent for two years. The respondent failed to respond to requests to transfer a client’s file materials, failed to discuss discovery with a client, failed to communicate with a client, and failed to return unearned fees. Timmy James Fontenot. The board recommended that the court permanently disbar the respondent. The respondent forged a client’s endorsement on a settlement check, deposited settlement funds into his own account, and converted client funds. Salvador R. Perricone. The board recommended that the court disbar the respondent. The respondent posted anonymous online comments about criminal actions that he was handling as a prosecutor for the United States Attorney’s Office for the Eastern District of Louisiana. Errol John Ware.The board recommended that the court permanently disbar the respondent. The respondent failed to communicate with a client, failed to diligently represent a client, signed and filed false documents into the record, kept unearned fees, and failed to cooperate with the ODC. Laura J. Johnson. Hearing Committee #18 recommended that the court disbar the respondent. The respondent fabricated a false receipt for restitution. The respondent also had a lengthy history of past disciplinary offenses. Jennifer E. Gaubert. Hearing Committee #54 recommended that the court suspend the respondent for six months. The respondent was convicted of simple battery and criminal mischief. The respondent’s crimes involved misrepresentation to law enforcement and violence. David Patrick Keating. Hearing Committee #31 recommended that the formal charges filed against the respondent be dismissed. The committee found that the respondent did not convert attorney’s fees as alleged by the ODC.